With the development of society and economy, more and more people prefer to process oils at home. If you want to do so at your own home, then you will need a Small scale palm kernel oil plant. 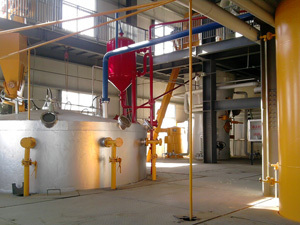 KMEC is an expert in the corn oil production line. We are a highly advanced company that devotes ourselves to development of both small and large oil pressing mill. KMEC is your best oil press machinery supplier in China. 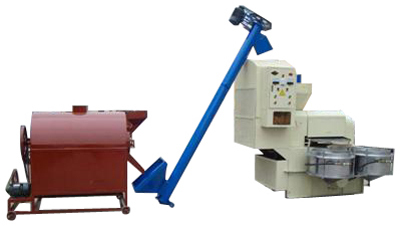 Small scale palm kernel oil machinery is suitable for crushing of all edible and non edible oil seed. 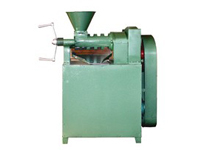 The oil press is one mini oil mill; this combined mini oil mill is an advance model from the oil miller. They include motor, vacuum filter, heater and electric control cabinet. The assistant part can help the mini oil mill with higher output and cleaning of the oil product is an ideal choice for customer. The main feature is less dregs, high output rate. It is more advanced machinery in oil process. For all kinds of plant oil materials can be pressed, such as peanut, soybean, rapeseed, cottonseed, sesame, olive, sunflower, coconut, cocoa etc. It is suitable for medium or small scale oil factory and private user, as well as for the pre-pressing of extraction oil factory. If you are interest in our oil press equipment or you want to set up an small scale palm kernel oil pressing mill,please do not hesitate to write to us from the following form, we are always at your service!